Don’t be fooled into thinking Pilates is easy. There’s more to strength-building than flinging a load of barbells around. Pilates is a top pick for elite athletes and dancers because the precise, low-impact exercises do wonders for the core – and it’ll sort out your posture too. If you wanna help your bod get a bit more bendy and powerful, there are some great studios in London to do Pilates classes. And it doesn’t matter whether they’re mat-based, inspired by ballet, involve a load of wacky apparatus, or take place on a reformer machine – these fun and fancy classes won’t leave you bent out of shape. Fancy testing that new-found flexibility? Try one of these yoga classes in London next. 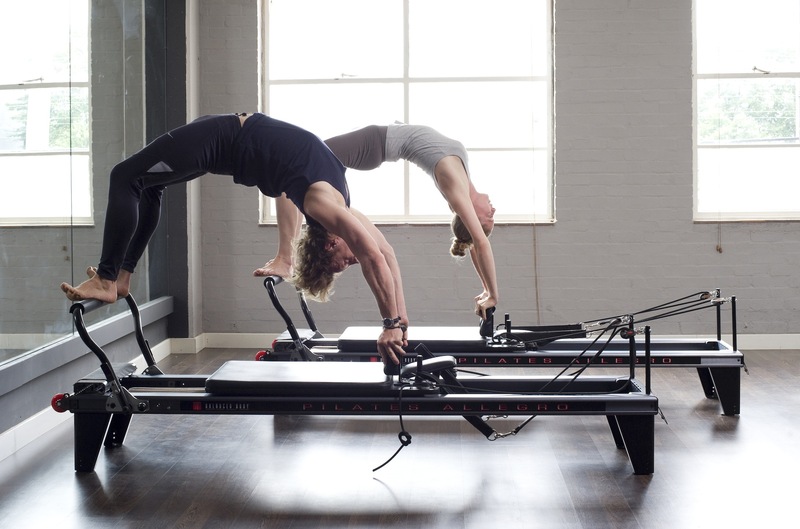 The supercool Frame studios are all about reformer Pilates, so if you’re new to those weird springy beds with neck braces and straps, you’ve come to the right place. Their basic Pilates reformer class will walk your through the techniques slowly, and once you’ve got a few of those sessions under your belt, you can slide on over to their regular classes. They also do a dynamic class for master core blasters who love to feel the burn. Various locations. Drop-ins £12-20 per class. Cheaper options if you buy a Frame Card. As one of the coolest places to break a sweat in east London, The Refinery’s Pilates class was never going to be run-of-the-mill. They run a number of ace classes for beginners and experts alike. Mattitude is a fun-fuelled, dynamic class where you hit the mat and do a bit of barre, as well as using resistance bands, dumbbells and Pilates balls. Hard-Core focusses on, you guessed it, your core, while Pilates Yin and Yang is a tough 40 minutes of mat work followed by 20 wonderful minutes of deep stretches. Don’t be fooled by the studio – it might be cute and colourful (and home to a dog), but a session here is definitely not child’s play. Bring along your A game and you should fit right in. 14 Collent St, E9 6SG. £5 for first class, £14 (avg.) per class afterwards. Class passes are available. We’re big fans of Blok’s cool Clapton studio space. The converted warehouse is all exposed brick and steel beams. Their mat Pilates classes take place in a warm, low-lit room. It's tough workout where dynamic movements flow into one another. Challenging enough for Pilates pros but also easy enough to pick up if you're a complete beginner. And a banging soundtrack will distract you from the hard work. Almost. The Tram Depot, 38-40 Upper Clapton Rd, Lower Clapton, London E5 8BQ / Principal Place, 2 Hearn Street, EC2A 3BR. Single class £14-17. Cheaper options if you buy class packs. One for Pilates purists, this classical studio is crammed full of strange and surprising equipment: reformers, towers – with chains and coils – a cadillac, wunda chairs and barrels, an electric chair and heaps of magic circles. It would be an intimidating sight, if it wasn’t for the super knowledgable, friendly and infectiously energetic instructors and the super-small class size. 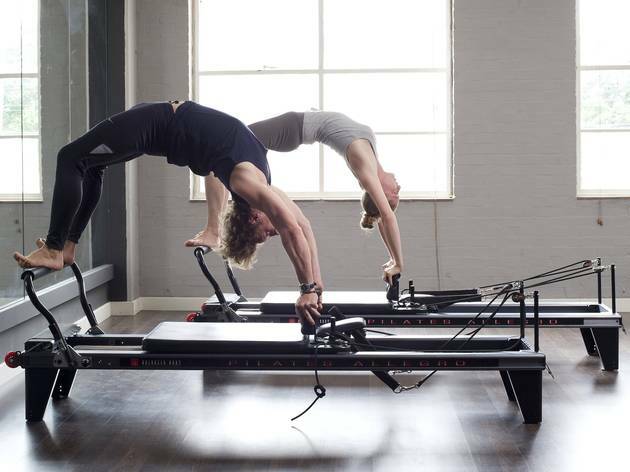 Exhale’s focus is on traditional Pilates, as Joseph Pilates himself originally designed it. The equipment might look wild, but it’s actually all about careful movement and correct form. The exercises take centre stage here, so the studio is simple, but there are lockers and shower facilities in The Fitness Mosaic downstairs. 81-84 Chalk Farm Rd, NW1 8AR. £35 for a drop-in or cheaper if you block book. Ten Health & Fitness limit their pilates classes to ten people for each session so you can expect a personal trainer style experience with plenty of hands-on coaching. 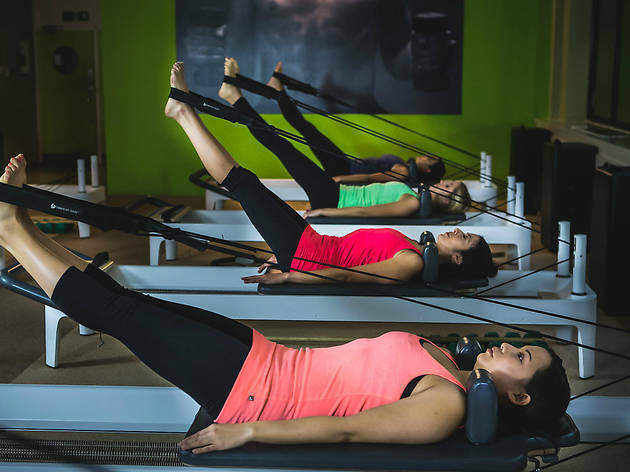 Classes are taken mainly lying down on reformer platforms, which is an ideal stop-gap between your bed at home and your desk at work on a Monday morning. 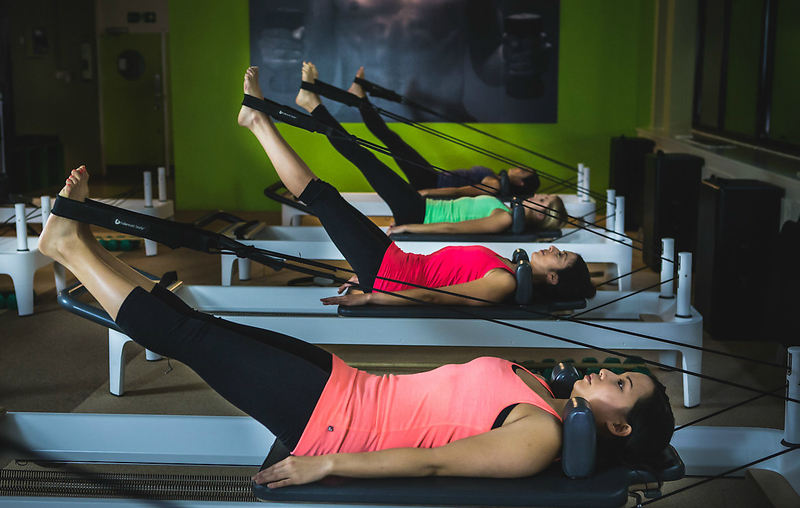 If you’re new to reformer Pilates, your instructor will show you how to use the machine before you get started. There are also designated classes each week dedicated to beginners. Facilities here are good with towels, Ren products in the showers and even GHD straighteners, meaning you can travel light. We like. Multiple London locations. £30 per class or cheaper if you block book. There are only four reformer beds at Core Kensington, which means intimate classes where no wrong move goes unnoticed. But that can only be a good thing. Teachers are knowledgeable and encouraging, as they lead you through a series of classic Pilates exercises for an hour. But all work and no play can be a bummer, which is why you should get down to their reformers bounce class.This fun and energetic session involves bouncing off a rebounder trampoline horizontally while staying steady on a reformer machine. It sounds insane, but trust us, you’ll leave feeling higher than Superman. 64 Porchester Road, W2 6BH. £15 for first class, £30 for single bookings after that. Cheaper options if you block book. 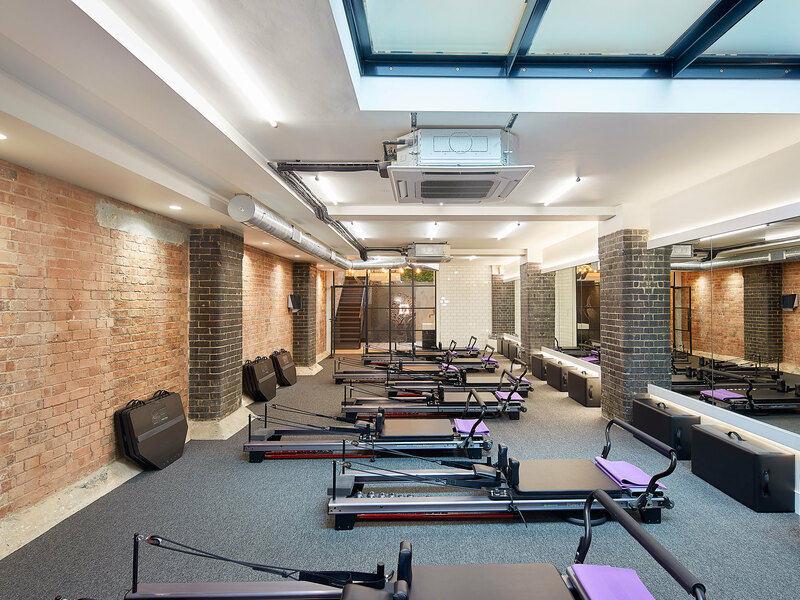 For a tough class in a seriously sleek environment you can't get much better than Core Collective in High Street Ken. The studio space is super stylish, with ace changing rooms and a healthy cafe upstairs for a post-workout pick me up. 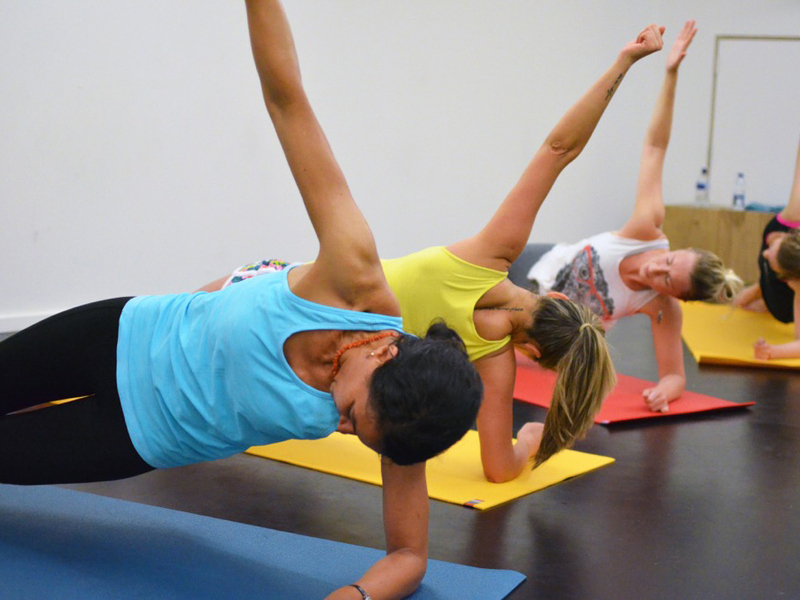 The mat Pilates class is fast paced and hard work, but you'll leave uplifted and energised. There's a plenty of equipment – bricks, hoops and bands - to get your hands on too. There are modifications offered for beginners, just make sure you let the instructor know you're a newbie at the start of the class. Multiple locations. Single classes £22. Cheaper options if you block book. If you’re looking for Pilates that goes with the flow, Tempo Pilates doesn’t miss a beat. Music is at the heart of their energetic sessions, which uses reformer machines, along with dumbbells and squeezy resistance rings to get the calories burning and the sweat flowing. The teachers here are on-point, so if you’re just starting out, you can get plenty of expert guidance in their daily beginner/intermediate or high intensity ‘X-Press’ classes – but if you don’t want to look like the new kid, they do a sesh for beginners on Sundays that’ll get you into the groove. Covent Garden, Hackney and Shoreditch. £13 for first class, £20-30 per class afterwards. Cheaper options if you block book. If it’s directly-opposite-the-tube convenience you’re after, it doesn’t get much better than Pilates HQ. The set-up is simple, and the small fourth-floor studio is seconds from Angel Underground. It gets great light (and a waft of fried chicken from the Upper Street takeaways – we’ll leave it up to you to decide if that’s a pro or con). 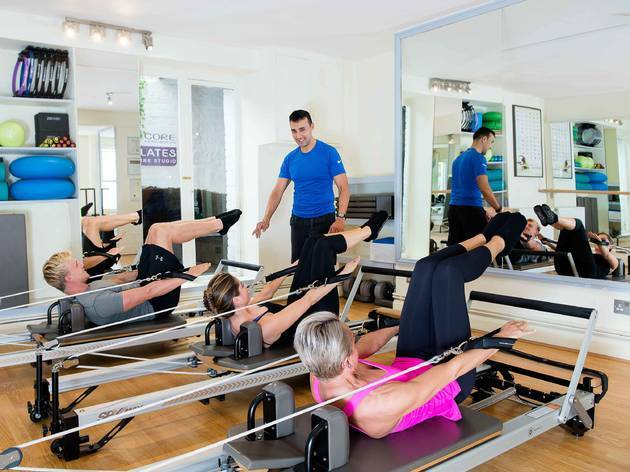 The lunchtime Reformer Pilates session is ideal for beginners who want some core-strengthening action they can fit into work hours. Classes are just the right size for the space, allowing the attentive instructor Georgina to offer advice without leaving you feeling exposed. Everything is based around the reformer machines and there’s a big focus on that thigh-squeezing resistance ring. The pace is relaxed, so you won’t feel the effect until the next day, but trust us, you will feel it. 4th Floor, 17 Islington High St, N1 9LQ. Peak classes (Mon-Fri 5.30pm-8.30pm and weekends) £25 per class. Off-peak classes (Mon-Fri 6am-5pm) £22 per class. Don’t be fooled by the name, TriYoga is much more than just a place to do yoga. 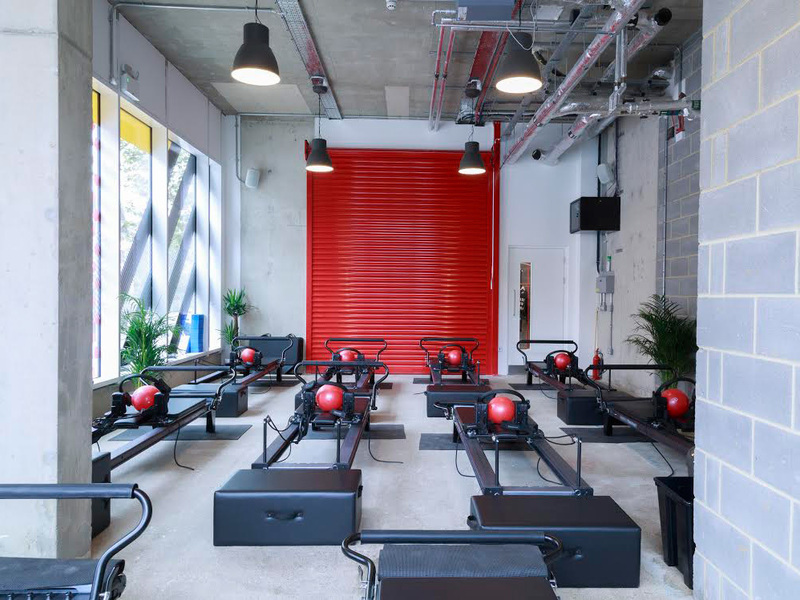 With spaces in Soho, Camden, Chelsea, Shoreditch, Covent Garden and a new one opening in Ealing, each studio teaches yoga and Pilates classes, offers a range of holistic treatments and has a juice bar and small shop. The whole vibe is very friendly and welcoming, the staff are informative and knowledgeable without being snooty. They offer mat-based Pilates which is great for all levels, equipment-based classes and one-on-ones for the more adventurous and warm Pilates where you practice a slower set of moves in a room heated to 35 degrees. The studios are light, airy, and all the equipment is free to use. Multiple London locations. Start with a £54 beginner’s pack which gets you unlimited classes for 30 days. Single class £17. Cheaper options if you block book. When it comes to any sort of bootcamp, you know the drill: militant taskmasters and gruelling exercises so intense you’ll want to have serious words with yourself afterwards. Well, Bootcamp Pilates is no different. This reformer-based class will really put your through your paces – but at least the music’s good and you will get results. Sessions are also straightforward and use a variety of Pilates equipment, so you won’t need to be an expert to try their standard or cardio classes. Just remember to bring lots of energy (you’ll need it). Various locations. £27 for single class. Introductory offers and block bookings available. With a swanky studio and plenty of snazzy merch, it’s no wonder Fulham’s Pilates massive speak highly of PBB. The barre dynamic Pilates core class is a mixture of mat-based Pilates and ballet barre, and during the 50-minute session, you’ll get good and sweaty doing the kind of moves that wouldn’t look out of place in ‘Swan Lake’. That doesn’t mean you won’t be pushed to the limit, though. There’s plenty of cardio in this class, so by the time Paola gets through with you, you’ll never look at pliés the same way again. 70 Rosaline Rd, SW6 7QT. £28 for single class. Introductory offers and block bookings available. Heartcore’s got studios in the poshest parts of town, so their Pilates sessions are pure class. 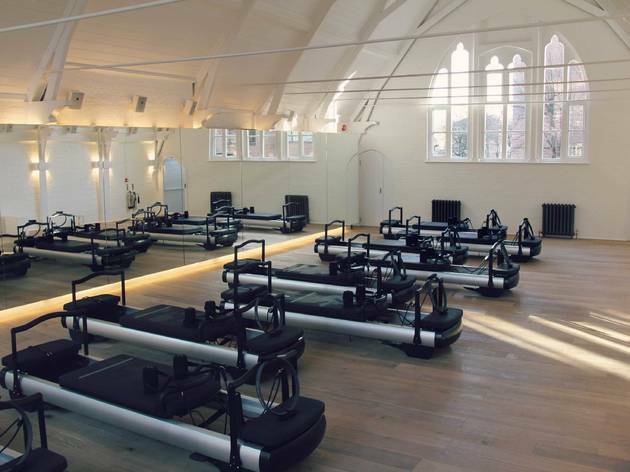 Specialising in reformer-style Pilates, their spaces are stunning – the St John’s site in particular is a beaut. The classes are mixed ability. You can feel like you're getting personal training, while other instructors opt for a more hands off approach so make sure to flag your beginner status if you've never stepped foot on a reformer bed before. For those that like to switch it up, Heartcore also offers barre, kettlebells and TRX classes – but really, folks flock here get their stretch on. Various locations. £27 for single class. Cheaper options if you block book.